Most of us when we are at work are too busy racing from one activity to the next one with minimal time to think and plan the next steps. If our workflow processes were likened to a car, we would be continually moving from 1st gear, to 2nd, then to 3rd and countless higher gears, back down again, sometimes into reverse, and then do it all once more! I’m sure that this sounds all too familiar! But how much time do we spend in the “neutral gear (N)”? 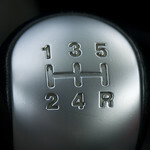 In a car, we all pass through neutral on the way to the other gears, however, if it is not done correctly, we tend to “crunch” the gears and make that all too painful sound! At work, what if we spent more time in the “neutral gear” tactfully planning and considering our next steps before we blindly or habitually commence the next activity? If so, we might find that there are more optimum “gear choices” available to use that better utilize our limited time and achieve a more productive and efficient result? So, next time you are driving in your car, focus more on the “N” and similarly try and think about exploring the “N” in the office. The result could be much more harmonious and may lead to less of the “crunch” in your work routine? May you have many happy thoughts!